The Professional Golf Management Program (PGM) prepares graduates to integrate their education and training into the challenging environment of the professional golf management industry. As the successful management of golf facilities becomes increasingly demanding, it is imperative these professionals have a greater understanding of the business of golf. Understanding the importance of proper human resource management and marketing, as well as supervisory and management skills is imperative to successfully managing the operations of golf facilities. These professionals will have an opportunity to learn, develop and apply these educational experiences during a progressive internship program. Their internships will focus on application and hands-on experiences in the many facets of golf course operations. Our industry experts at Foresight Golf Management partner with us to develop and teach these proficiencies to further enhance our students' classroom experiences. There are over 170 golf facilities within a 100-mile radius of The University of the Incarnate Word and approximately 50 within a 25-mile radius. This provides an abundance of opportunities for our students to become an integral part of the golf industry in the San Antonio area, as well as nationwide. Our graduates' futures are important to us, therefore we seek to network with and utilize the many local golf courses as employment opportunities. Inductive Reasoning – The ability to combine pieces of information to form general rules or conclusions (includes finding a relationship among seemingly unrelated events). Category Flexibility – The ability to generate or use different sets of rules for combining or grouping things in different ways. The BBA in Professional Golf Management is a full-fledged business degree with a solid foundation in areas such as marketing, management, human resource management and much more. Internships play a vital role in the development of our PGM professionals, therefore we work to place our students at San Antonio-area golf facilities. These internships help to insure our graduates understand the many facets of the business of golf, to include outside services, pro-shop operations, event management, inventory and merchandising, including real world-marketing perspectives. Guest Services / Golf Car Fleet Management – The course focuses on cultivating positive customer relationships, developing effective solutions to potential customer dissatisfaction, and reviewing methods to develop effective procedures and policies that ensure positive customer satisfaction. Additionally, golf car fleet management strategies will be studied. This will include exploring the advantages of leasing vs. buying equipment as well as the many important preventative scheduled maintenance procedures that ensure the golf car fleet’s longevity. Golf Shop Operations / Tournament Operations – This course introduces of the various aspects of golf shop operations and tournament operations. Golf shop operations topics include customer relations, tee sheet management, and point of sale operations. Topics concerning tournament operations include event coordinator interaction, as well as a comprehensive overview of a tournament event from start to finish. Player Development / Golf Instruction – This course introduces students to the importance of teaching the game of golf and how great instruction/coaching leads to player development, satisfaction, and potential future business. This course will assist the development of the student’s appreciation for maintaining and enhancing the lifelong enjoyment of the game for all players regardless of skill level. Food and Beverage Operations / Retail Management – This course is an introduction to all aspects of food and beverage operations, including banquet operations. It will provide an overview of how food & beverage should be an important segment of a golf facility’s ancillary revenue stream and a source of profitability. Additionally, retail management as it pertains to the golf shop will be covered. Topics for retail management include, purchasing and inventory management, as well as maximizing profit margins by maintaining acceptable cost of goods sold. Turf Grass Management – This course provides a foundational overview of turf grass management. This will include a broad perspective of managing and cultivating best turf grass practices as well as golf course maintenance equipment management. 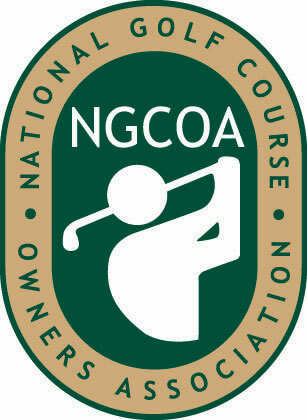 Additionally the course will provide an overview of the many roles and responsibilities of the Golf Course Superintendent. Business Planning – This senior level course introduces students to the many business planning practices that the Manager encounters on a weekly, monthly, and yearly basis. Topics will include managing and forecasting golf facility financial strategies, developing and implementing annual budgets, and evaluating best strategies to develop efficient personnel management practices. Golf Course Marketing – Golf Course Marketing is a senior level course that will introduce students to the many different and very important forms of golf course marketing mediums. Topics such as, the importance of understanding the customer, effective forms of golf course marketing, lead generation and the sales process, will be covered. F&B Operations / Retail Management Internship – Students acquire hands-on experiences to the food and beverage F&B operations and retail management. This includes daily operations of the F&B operation, banquet preparation, service and breakdown. Pro-shop operation experience will include retail sales, merchandising, inventory management, marketing and practical guest interaction opportunities. Point of sale systems POS will be used and studied to demonstrate their impacts on inventory and profit and loss. We partner with the industry experts at Foresight Golf Management to develop and teach the hands-on proficiencies found in the PGM program. These instructors bring with them decades of experience in the golf management industry. COO, Foresight Golf | PGM Instructor - Chief Operating Officer and partner of Foresight Golf, Mr. Miller brings over 30 years of experience including Director of Golf Course Operations for the Pebble Beach Company. He has been employed at 8 of the Top 100 Courses in the United States. He has hosted the US Open and many PGA Tour Events. Miller's educational background is business and turfgrass management. He has been responsible for the construction of Foresight's golf courses. VP of Operations, Foresight Golf | PGM Instructor - Mr. Weiland has held several management roles over the past 20 years in different markets across the U.S., including Washington D.C., St. Louis and most recently San Antonio where he spent five years as the General Manager of the Republic Golf Club. He brings an extensive level of daily golf experience in all aspects of facility operations including customer service and food and beverage management, as well as sales and marketing. 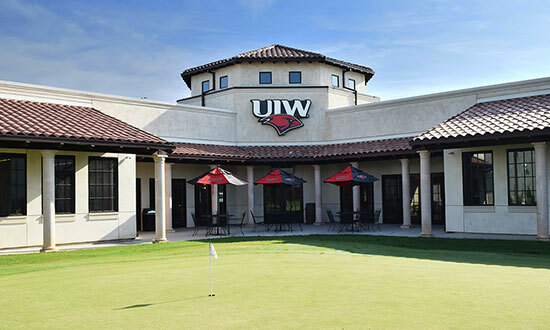 The Professional Golf Management Facility is designed with 13,000 square feet, featuring four contemporary classrooms, state-of-the-art training facilities and a specially designed putting green for UIW. The PGM Facility is located next door to The Republic Golf Club on San Antonio's south side, near Brooks City Base. It is home the PGM Program and the Men's and Women's Division I Golf teams. Business programs in the H-E-B School of Business and Administration are accredited by The Accreditation Council for Business Schools and Programs. The University of the Incarnate Word is accredited by the Southern Association of Colleges and Schools Commission on Colleges, 1866 Southern Lane, Decatur, Georgia 30033-4097, telephone 404-679-4500, Web site: www.sacscoc.org.